Nephrotic syndrome is a glomerular disorder which presents as a classical triad of generalised oedema, heavy proteinuria (>200mg/mmol) and hypoalbuminaemia (<25g/L) (1). This article describes the epidemiology and pathophysiology of nephrotic syndrome in children, typical and atypical features, important investigations and management. In the UK, nephrotic syndrome is relatively uncommon with an incidence of 2 per 100,000 children per year (2). The incidence is between 6-8 times higher in UK Asian populations and it is twice as common in boys (1,2). It is most common in early childhood, affecting children with a median age of 4 years (2). Although it is generally thought to have a good prognosis, nephrotic syndrome can be associated with significant morbidity and mortality in those who develop complications. Nephrosis is the process of leaking protein from a damaged glomerulus, distinguishing it from nephritis, which is inflammation that can involve any part of the nephron or interstitium. The glomerular basement membrane is made up of specialised epithelial cells (podocytes) which normally fuse together and prevent proteins albumin-sized or larger from being filtered; in nephrotic syndrome, they become flattened and start to allow the leaking of these proteins (3). The most common cause of nephrotic syndrome in children is minimal change disease, so-named because on biopsy there is little change to see. The other, rarer causes include congenital nephrotic syndromes, focal segmental glomerulosclerosis and mesangiocapillary glomerulonephritis. The three key clinical features of nephrotic syndrome are oedema, proteinuria and hypoalbuminaemia. Children with typical nephrotic syndrome are usually managed with steroids, without the need for a diagnostic renal biopsy. Further investigations would be needed if the child presented with atypical features and would be dependent on the history and advice from the renal team. Additional investigations may include complement levels, hepatitis serology, Anti-streptolysin O Titre (ASOT) and autoimmune investigations such as ANA, ANCA and anti-dsDNA. High dose steroids – first line management for children with typical nephrotic syndrome. It is important to ensure that any child with atypical features is discussed with a nephrologist prior to starting treatment as steroids may affect the results of a renal biopsy. The majority of children with minimal change disease will respond to steroids. This is called steroid-sensitive nephrotic syndrome (SSNS) but most will have a relapse. If they respond to a further course of steroids and eventually enter remission, then the prognosis is very favourable. However, some children will have more than one relapse, known as Frequently Relapsing Nephrotic Syndrome, or have steroid-resistant nephrotic syndrome (SRNS). 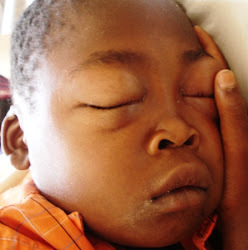 These children may require low-dose maintenance steroid therapy or immunomodulatory drugs such as levamisole, cyclophosphamide, ciclosporin or tacrolimus. Low salt diet – parents are advised to provide a low-salt diet to avoid worsening the oedema. Prophylactic antibiotics – children with nephrotic syndrome leak immunoglobulins through their kidneys and are therefore at high risk of infection. Fluid management – when assessing a child presenting with nephrotic syndrome it is important to make an accurate assessment of their hydration status; although they are peripherally oedematous, they can be extremely intravascularly deplete. Careful fluid balance must be maintained with daily monitoring of their weight, fluid input and urine output. These children may sometimes benefit from albumin but this must be given with care as it is a rapid volume expander. It is also important to assess for fluid overload as children with atypical nephritic features can retain salt, leading them to become overloaded. Diuretics can be used in this case and have some role in symptomatic relief for children with significant oedema. Infection – In addition to prophylactic antibiotics, it is important to educate parents of children who are on immunosuppressive therapy for nephrotic syndrome to seek urgent medical attention if their child develops infectious symptoms or has a fever above 38 degrees. Varicella Zoster (Chicken pox) – VZV status should be checked on presentation and parents should be advised to seek urgent medical review if patients on high dose steroids or immunosuppressants come into contact with or develop chicken pox. They may require VZV immunoglobulin or IV acyclovir. Thrombosis – children are in a pro-thrombotic state when they are nephrotic and thrombosis can cause significant morbidity and mortality in this group of patients. Be particularly wary of nephrotic children who complain of chest or abdominal pain as they could be presenting with pulmonary embolism or mesenteric ischaemia. What is not included in the classical triad for nephrotic syndrome? What is the common cause of nephrotic syndrome in children? What is the median age to get nephrotic syndrome as a child? What is a differential diagnosis for nephrotic syndrome that is less common in the developed world? What is the first line management of nephrotic syndrome? What should you be on high alert for in a nephrotic child complaining of abdominal pain? A patient on high dose steroids who develops chicken pox may need what treatment?